Newington Town Crier - Children's Theatre auditioning for Disney's Peter Pan Jr.
Children's Theatre auditioning for Disney's Peter Pan Jr. 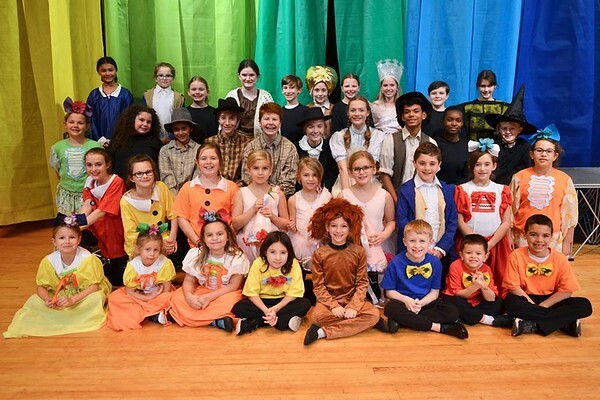 The Newington Children’s Theatre Company will hold auditions for their second School-Year Musical, Disney’s Peter Pan Jr., January 7-9, by appointment. Auditions are open to children ages 8 and up. Audition appointments and audition packets are available at NCTCArts.org. Based on the Disney film and J.M. Barrie’s enchanting play, Disney’s Peter Pan Jr. is a modern version of the timeless tale about a boy who wouldn’t grow up. Wendy Darling loves to tell stories to her brothers, Michael and John. But when her father announces she must move out of the nursery, Peter Pan comes to visit the children and whisks them away to Neverland. Their journey introduces them to the Lost Boys, Mermaids, Indians and even the infamous pirate, Captain Hook! It’s Peter to the rescue when Wendy is taken captive by the dreaded captain, who has his own sinister plans in mind for our hero. Rehearsals are January 14-March 14. This production will be double cast, with rehearsals 6-7:30pm either Monday/Wednesday or Tuesday/Thursday. Both casts will rehearse some Saturdays (time TBD). Auditions and rehearsals will take place at NCTC, located at 743 North Mountain Road in Newington. Performances are March 15-24 and will take place at John Wallace Middle School, located at 71 Halleran Drive in Newington. Not quite 8 years old? Check out NCTC’s In Performance class that gives kids, ages 5-8, the opportunity to be part of the ensemble. No audition/experience required. Posted in Newington Town Crier, Newington News on Thursday, 3 January 2019 08:09. Updated: Thursday, 3 January 2019 08:11.